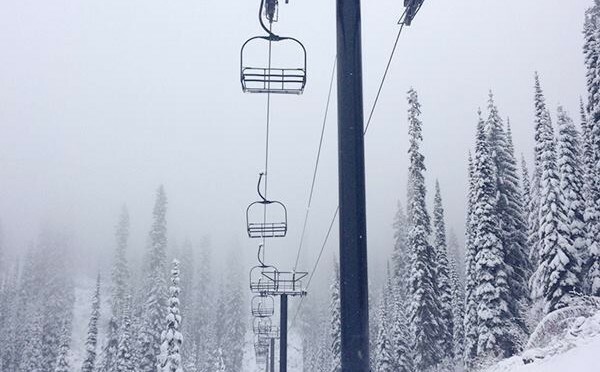 Whitefish, MT – Montana’s Whitefish Mountain Resort will enter the 2014/15 ski and snowboard season with the new Flower Point Triple chairlift on the north side of the mountain, and a completed two-year $910,000 renovation to its Base Lodge. The Flower Point triple chairlift will add 200 acres of terrain to the north side of the mountain previously only accessible by hiking. 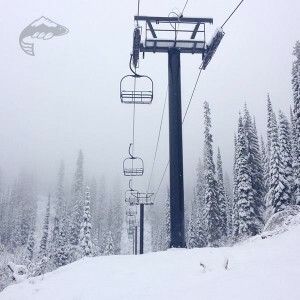 In 2013 Whitefish Mountain Resort cut six groomable intermediate runs, all of which will now be fully accessible from the new lift. The Flower Point Chair also will create a stand-alone pod of skiing where guests can explore the new runs and newly gladed tree areas while helping to further spread skiers and riders out at the resort. Resort officials indicate that the Flower Point area features dependable early and late season snow conditions and advanced tree skiing. Flower Point is so named for the wildflower-covered alpine meadow on its peak and offers a spectacular view of the North Fork area in Glacier National Park. In tribute to this national treasure, most runs are named after locales in the national park: North Fork, Whiskey Spring, Big Creek, Inside Road, Outside Road, and Hidden Meadow. An additional run, Ridge Run, will run along the northeast boundary of the resort. The Flower Point lift will also provide access to one new run on the front side of the mountain which will be named, “One Grand Parade” in tribute to long-time employee Norm Kurtz, who passed away earlier this year. The Base Lodge Café’s square footage was doubled this summer, creating a more efficient design to enhance the guest experience. A new Coffee Bar will serve guests on the Base Lodge Patio, offering window service steps away from Chair 6. A new room with mountain views will provide indoor seating for Coffee Bar customers as well as overflow seating for the Base Lodge Café. The new room is located next to the Heaven’s Peak room, which has also received a makeover with a new color scheme, metal cladding and wood finishes along with new flooring. This season skiers and snowboarders will be able to track the weather conditions on Big Mountain with the Summit Weather Station. This state-of-the-art station was purchased, installed and will be maintained thanks to a community partnership between The Northern Rockies Avalanche Safety Workshop, BNSF Railway Foundation, Flathead Avalanche Center, Flathead National Forest and Whitefish Mountain Resort. The station fills a previous gap in weather data for local outdoor enthusiasts as well as providing critical hourly weather updates for snowmaking and grooming crews at Whitefish Mountain Resort. The station will provide live data measuring snowpack, snow-water content, precipitation, air temperature, wind speed and wind direction. Getting to Whitefish Mountain Resort from Chicago and other points of origination will be easier this winter with the addition of new Saturday nonstop service from Chicago-O’Hare (ORD) to Glacier Park International (FCA) on United Airlines. This flight marks the first time winter air service has been available from Chicago. Glacier Park International is located only 30 minutes from the resort, and with the flight scheduled to arrive at 12:25 p.m., skiers and snowboarders can enjoy the slopes for the afternoon and evening of their arrival day with night skiing. This flight will operate from December 20th through April 4, 2015. Further improvements at the resort include the new “Fir” parking lot near the Base Lodge that will accommodate up to 300 cars and an additional shuttle van for free transportation between the Base Area, Upper Village and lodging areas. The resort also expanded its grooming fleet with the purchase of two snowcats for the 2014-15 winter season including a Pisten Bully PB100 with an eight-foot wide blade to groom those hard to reach spots including the skier tunnels. Additionally upgrades to snowmaking in the beginner ski areas will enhance the experience for lessons and new skiers and riders. All projects will be complete in time for Whitefish’s opening day scheduled for Saturday, December 6.